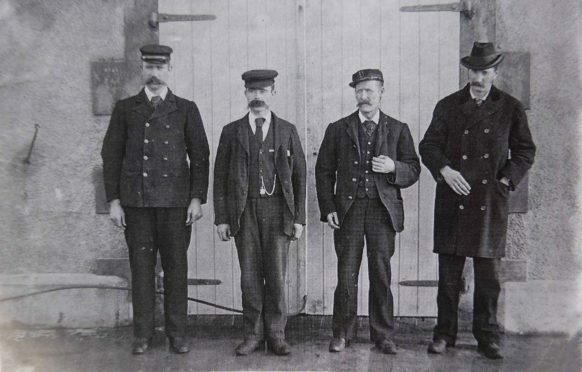 A lighthouse exhibition will open today in a Western Isles village to commemorate the tragic and mysterious loss of three local light keepers more than 117 years ago. The mystery has endured with many tales and speculation about what happened on Eilean Mor, 20 miles west of the islands of Lewis in December 1900. The extensive archive collection featured within the exhibition at Breasclete Community Centre includes a large number of original documents, stills and news reports from the time. The archive also includes material donated from a wide-range of sources, including the families of keepers through the years. Central to the exhibition are copies of the original drawings of David Alan Stevenson who, assisted by his brother, designed both the lighthouse and the shore station An Taigh Mhor, built in 1899. The Flannan Isles exhibition in Breasclete Community Centre in Lewis will be running until October 31 during the hours of 2pm and 4pm. The village is set in the community-owned Carloway Estate and lies within a mile of the world famous Callanish standing stones and 4.5 miles form the Doune Broch, one of the best preserved Iron Age brochs in Scotland. The Flannan Isles memorial is located half a miles past the community centre. This was unveiled on the anniversary of the incident on December 15 last year, to commemorate the enduring connection between the Flannan Isles and the village.